Notice in 9 minutes the GPU accelerated version is already complete while the non-GPU version has only completed the top left corner with similar settings. Further moving of controls to global Quality String Options both for all MILA Quality as well as specific controls like “mila glossy quality” etc. 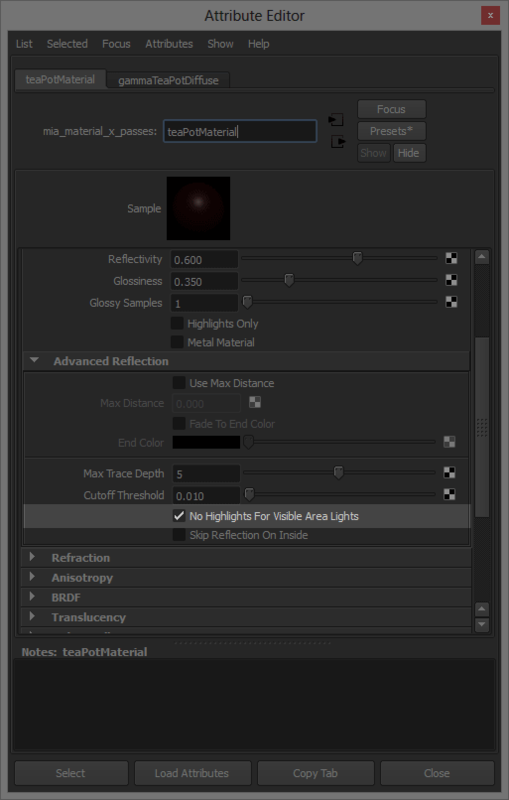 The clamp option can be used as on or off (default is off) for controlling overbright highlights and reflections. It is a non-physical effect. 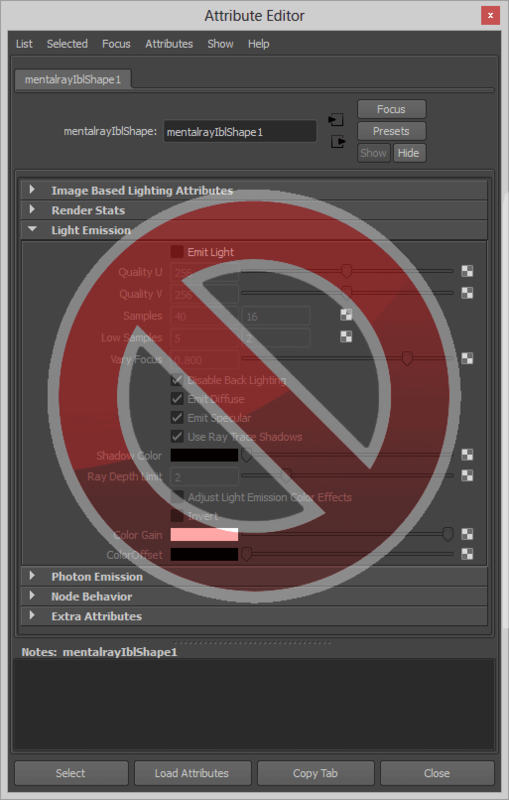 This means it purposefully changes the energy in the render to avoid artifacts from insufficient sampling. This is usually caused by a very hot HDRI used to light a scene or a bright area light and the resulting indirect reflections. 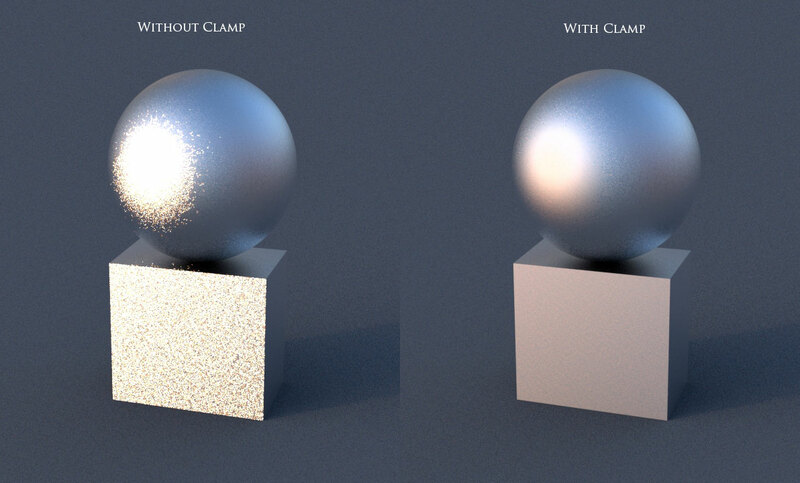 This clamp option may also reduce render times because fewer samples are taken to resolve hotspots that cause variance in the image. The below image had an HDRI with a high value of over 7000 for the sun. Rendered at Quality 0.20 for Unified Sampling to amplify the effect of poor sampling. This also affects the resulting framebuffer contribution. Notice the areas that are not overly hot are maintained. 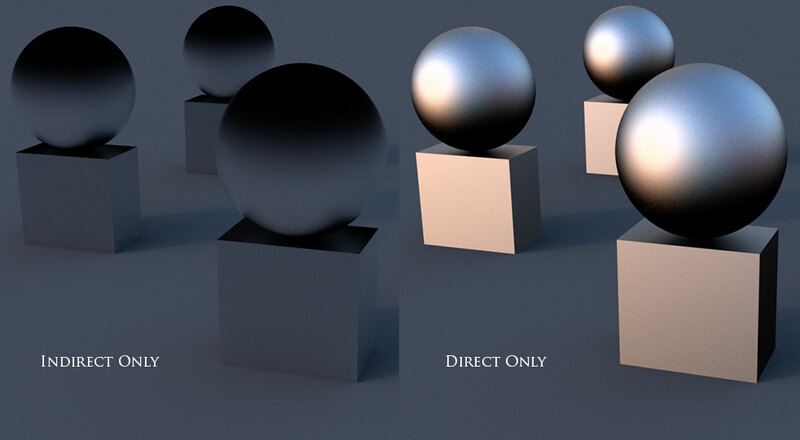 A direct and indirect slider can be used to change the look of the material non-physically. Recall that Direct Reflection is the result of the light. 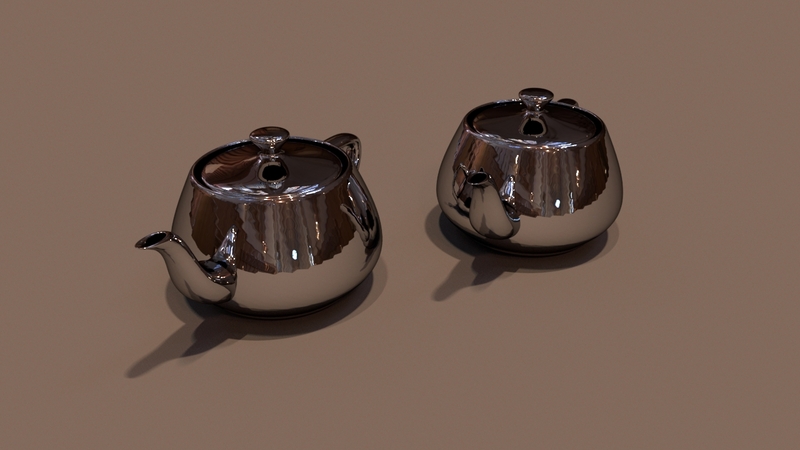 Indirect Reflection is the result of the light from other objects in your scene. The easiest way to think of this is the direct diffuse is historically your diffuse pass and indirect diffuse is the indirect pass or “color bleed” from nearby objects reflecting light and measured by something like Final Gathering. Below is an example with the effect of direct at 0.00 contribution and then indirect at 0.00 contribution on glossy reflection. You can adjust these independently to achieve a non-physical but pleasing artistic look in a material. This will also affect the resulting framebuffer contribution. 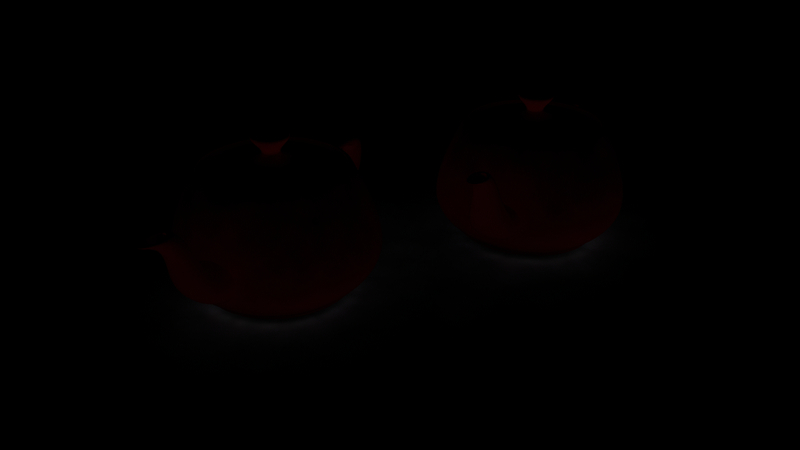 These can be texture mapped as well for special effects. Diffuse Indirect Detail replaces the Ambient Occlusion controls with an On and Off switch globally, a distance parameter, and quality. Below is an example of on and off at default values. *experimental* Additional buffers can now be rendered as seen in a reflection or refraction (indirect). This means you can get the matte color of an object written to its own buffer even if it is only seen in a reflected or transmitted ray. 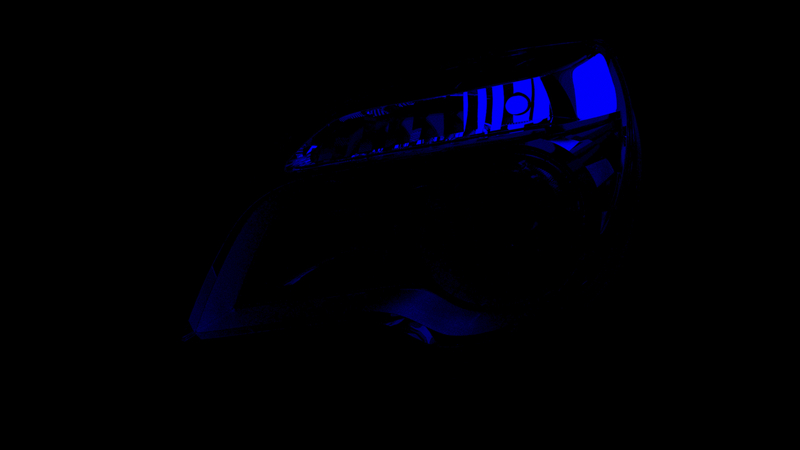 Below is an example where the turn blinker (indicator) writes its resulting color matte to the framebuffer despite being behind the lens cover of the light. It also contains information where it was reflected as well. This is useful to isolate and alter elements after rendering. 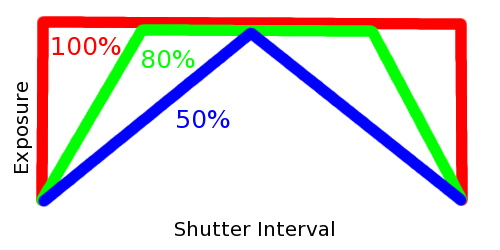 You can also pass the matte through another node like a rayswitch to further define the mattes generated through transmission (blue) or reflection (red) as seen below. Keep in mind that this object would be “baked” into the transmission framebuffer derived from the beauty. So changes after rendering would still be limited. This may also increase the render time as an extra color framebuffer is considered for anti-aliasing. If you wish to avoid that you can turn off “contrast all buffers” in the Quality Tab -> Framebuffer Rollout of your Render Settings. Overall the goals for MILA are continued flexibility and simplicity based on MDL. Redundant and unused controls are moved and clarity in settings is being improved. Why all of the “Quality” Controls? Also notice the increase in controls for “Quality”. This is important since the underlying method or algorithm can be hidden under a simple control. This is already true of Unified Sampling and the Native IBL. By hiding the method, developers can later change or improve it without introducing new controls or altering the old ones. This was true of the refinements made in Unified Sampling in 3.10. Artists can continue to work as the renderer improves without learning new techniques. This is part of how mental ray will continue to simplify the workflow for users without sacrificing flexibility or speed. This will also make the integration of new features much easier in OEM products like Autodesk Maya since documentation and UI changes will be unnecessary with added improvements to existing features. Inside mental ray there is a Native or Builtin image based lighting scheme called environment lighting mode. 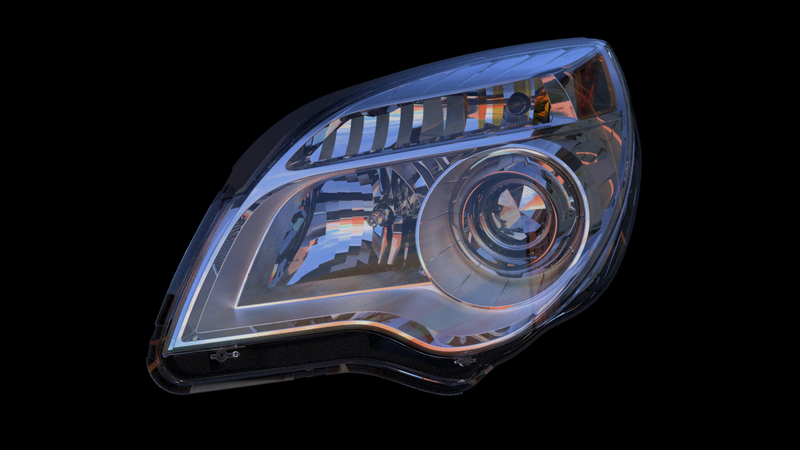 This was integrated into mental ray some time ago in version 3.7. So it’s been around for about 4 years or more. It’s unexposed in OEM packages but using our new UI for rendering, we have exposed it for use in Maya 2013. mentalCore also makes use of the Environment Light. 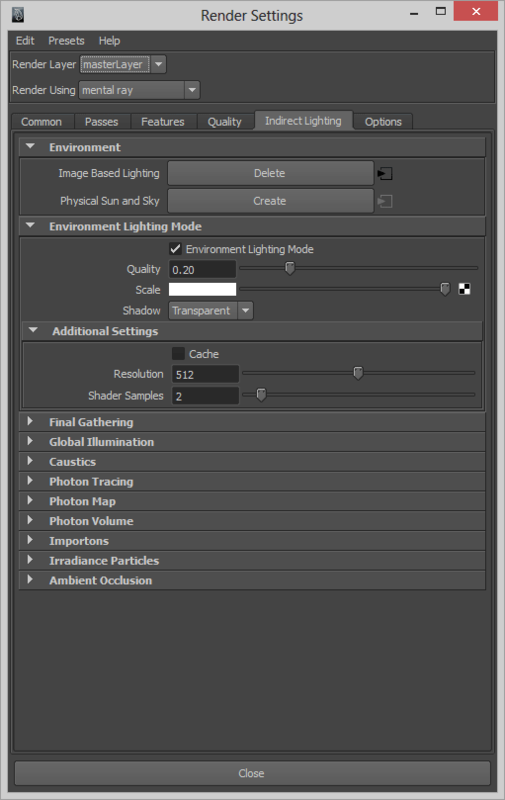 We refer to the feature in the UI by its String Option name: Environment Lighting. Why do I want to use this? Simply put: It’s fast and automatic direct lighting of scenes where your primary light source is a high dynamic range image (HDRI). You have heard of this method in other packages as a Dome Light and in Maya 2013, the user_ibl_env was introduced with similar functionality. Why would I use this instead of the user_ibl_env? 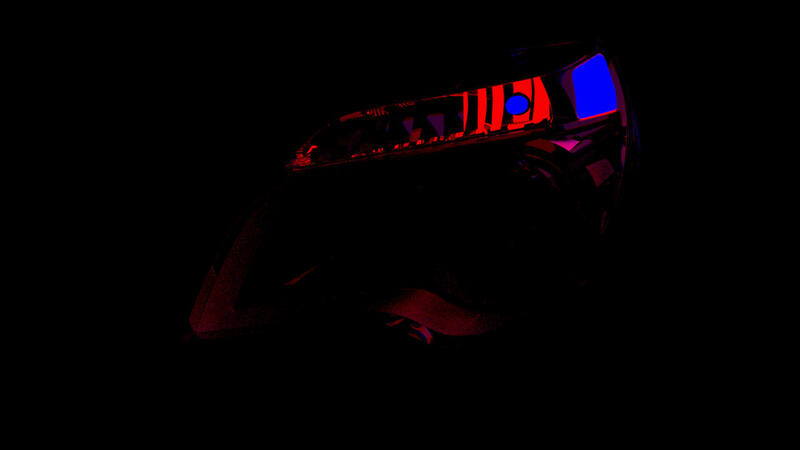 The Environment Light re-bakes data by point sampling an environment attached to your camera. This means it also accepts procedurals unlike the user_ibl_env shader. 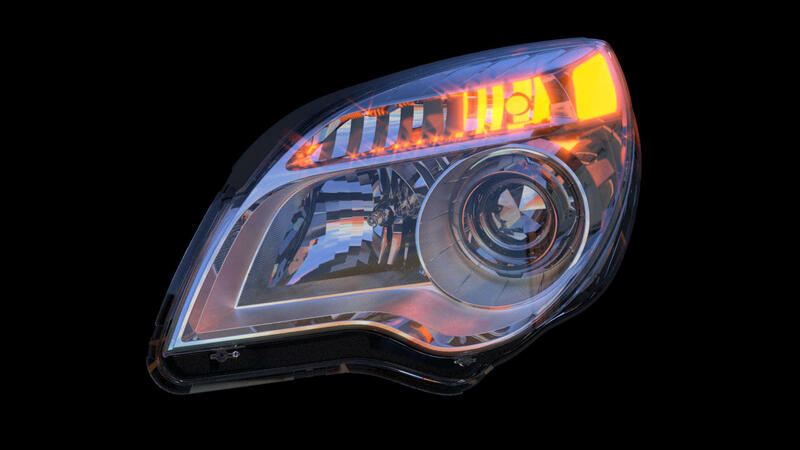 The Environment Light will allow you to continue to use the Maya IBL mechanism that is visible and manipulable from the viewport. It uses a simple “Quality” scheme that is familiar from Unified Sampling and they work together accordingly. Can’t I just light with Final Gather? Splotches. Being an interpolated scheme means you need great accuracy to resolve fine lighting details. 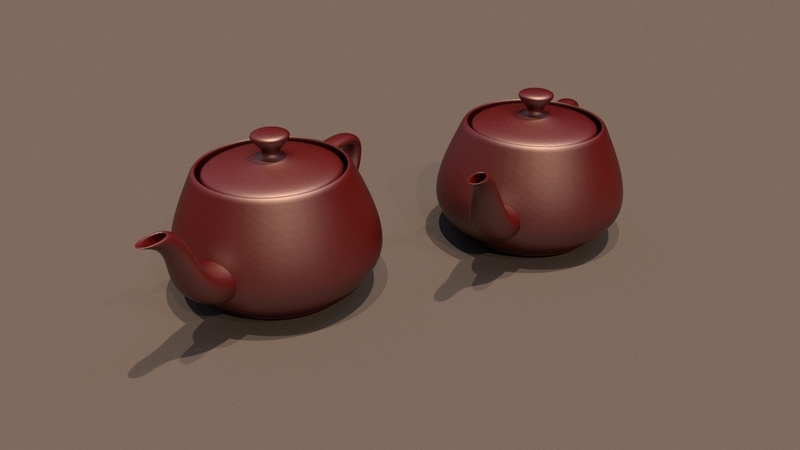 Soft shadows and sort-of occlusion-like shadowing. You need a LOT of accuracy to get the shadows looking correct. Complex or high contrast HDRIs need a lot of FG tuning. An easy way to illustrate this is to look at the indirect diffuse lighting pass. Now try the Environment Light alone! MUCH better with pretty much default settings. Was it longer to render? Yes. It’s a brute force-like technique. But in order to get the same quality from FG would take much MUCH longer to render. So in that comparison, Environment Light is actually much faster. What does FG + Environment Light look like? This means you can greatly reduce your FG “accuracy” setting. In some cases as low as 8 or 16 rays. Keep in mind you might still need an FG filter setting of 1 if highlights on nearby objects are especially hot and generate speckles like the first indirect diffuse picture. You can use the regular Maya procedure for adding an HDRI or a Texture to light the scene including the flags. You can also attach any environment to the camera such as an environment shader, environment switch or Sun & Sky. First: I want you to realize this is NOT the Maya IBL “emit light” option. Scale: Multiplier for the light. Used to control tint/shade and brightness (value) The visible environment is not changed, only the light contribution. Environments are typically assumed to be comped later. 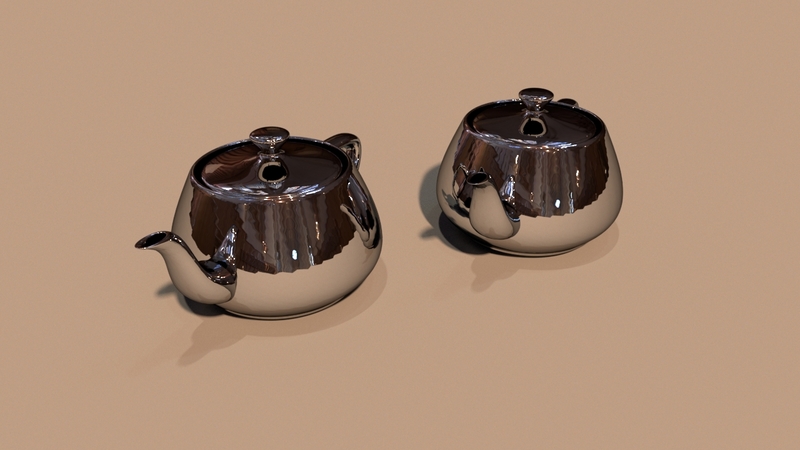 Shadow: Optimization, solid shadows are faster but treats all objects as opaque. Off is no shadows cast. Cache: on/off, this creates an acceleration structure for faster lookup on complex lighting. This means the lighting lookup is done through a non-texture mechanism. 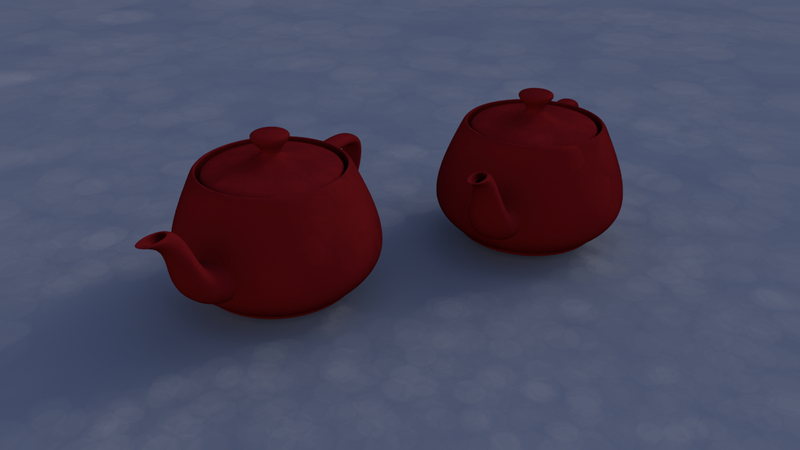 Reflections may show artifacts at insufficient baking resolution (described below) but should light faster. Off = baked to texture with the usual implications/mechanisms for texture lookups. Resolution: The lower the resolution, the faster the baking, less memory usage, and quicker rendering at the cost of details in reflection and lighting. (Works with iray as well) Below is an example where the resolution is so low the shadows are muddy and the lighting is very dim because the baking process missed some of the light sources. Below that is a correct version with higher resolution. Resolution involving Cache “On”. Notice how the same resolution for the cache “on” mode did a better job by default for the lighting and shadows. Shader Samples: When baking the IBL, this will take more samples before baking to avoid missing details or little hotspots. 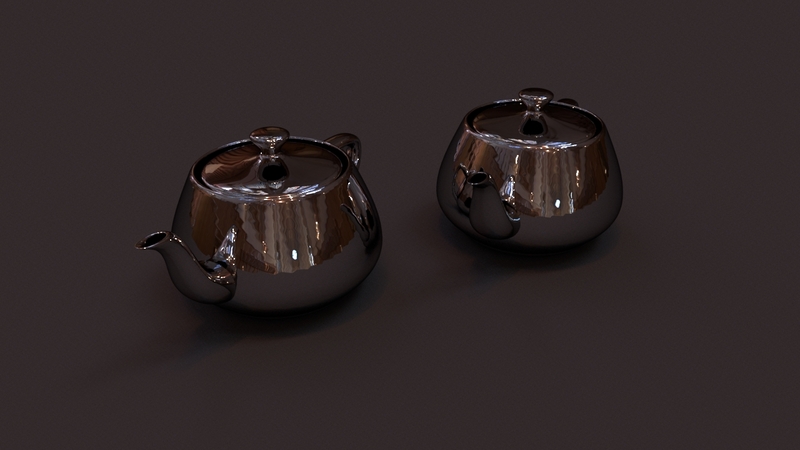 Useful with complex HDRI or small resolution settings like the above examples(Works with iray) This isn’t typically important with low contrast or low detail maps/procedurals. A ramp for example, will not benefit from more samples. Use this if you find that you are missing some small light sources or shadow details suffer. You can find a happy medium of lower resolution and some extra shader samples typically easily. HDRIs with low range or values will not produce crisp or deep shadows. You might want a happy medium range in a tonemapped HDR so you don’t have hot spikes in reflections and poor shadowing. HDRIs with multiple light sources will automatically cast multiple shadows. Concave objects or interior scenes not lit directly by the Builtin IBL will need the usual higher quality FG and Portal Lights. Set-acquired HDRIs work well for this with some additional bounce lights to “sweeten” the look. 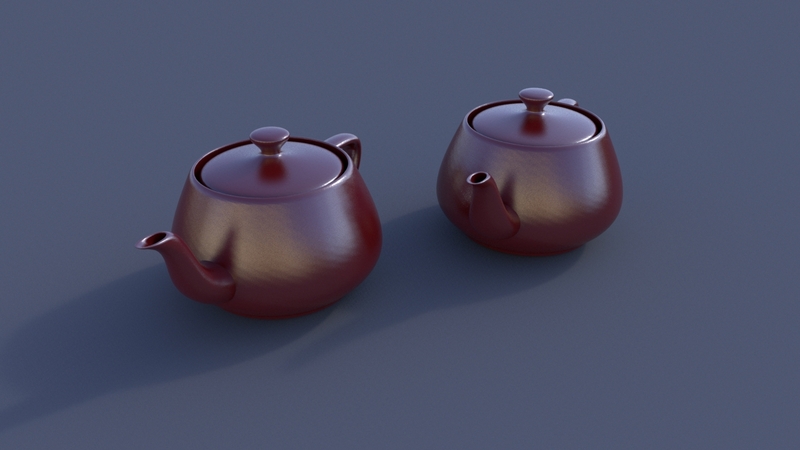 The mip_matteshadow shader can be used to capture shadows for compositing onto live action plates. Remember to use HDRI data. JPEGS and other common formats do not have enough range to produce good lighting. Remember to reduce your Final Gather accuracy to speed up renders considerably. 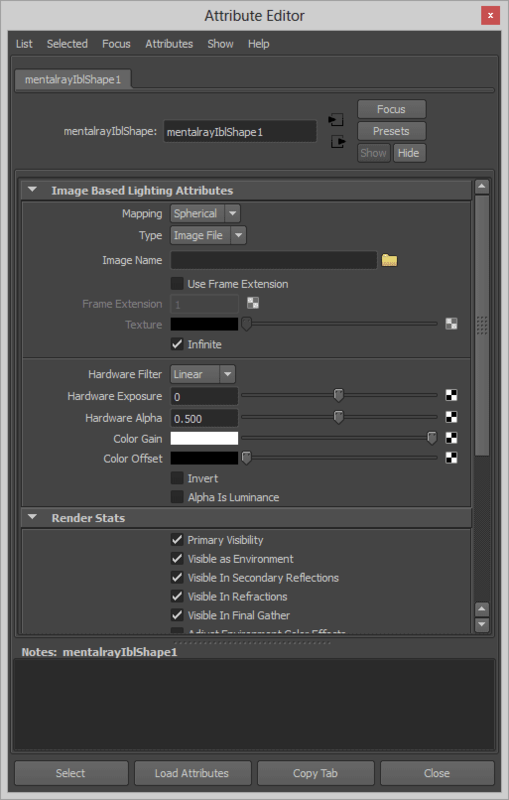 You do not need high settings since the Environment Light handles the bulk of the work.